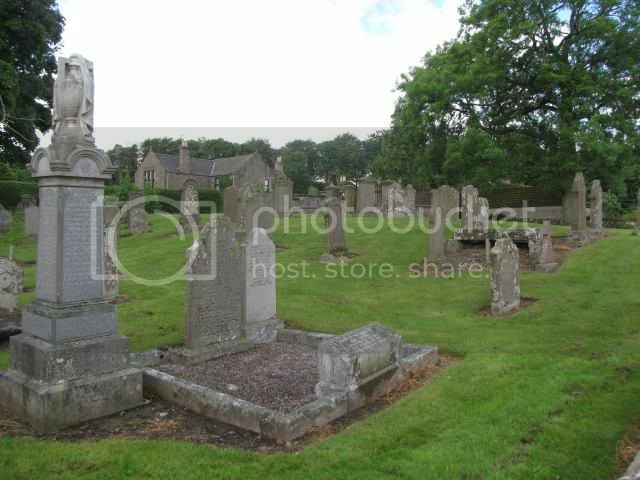 Former parish churchyard on edge of village of Letham. No CWGC burials but one interesting family stone commemorating the death of a doctor - employed in the then legitimate and lucrative opium trade operated by the British East India Company - during the Indian rebellion against British imperial rule in 1875. 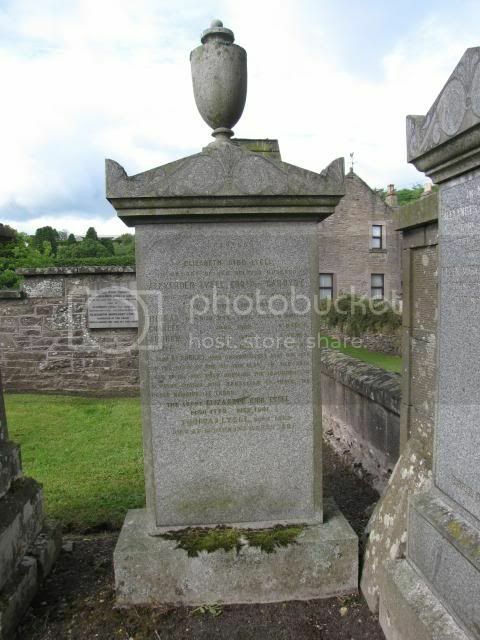 The inscription reads "Also Dr Robert, who unfortunately lost his life on the night of the 3rd July 1857, in the 32nd year of his life, when quelling the insurrection at Patna during the rebellion in India, and whose remains lie there." "At Patna. 3rd July. 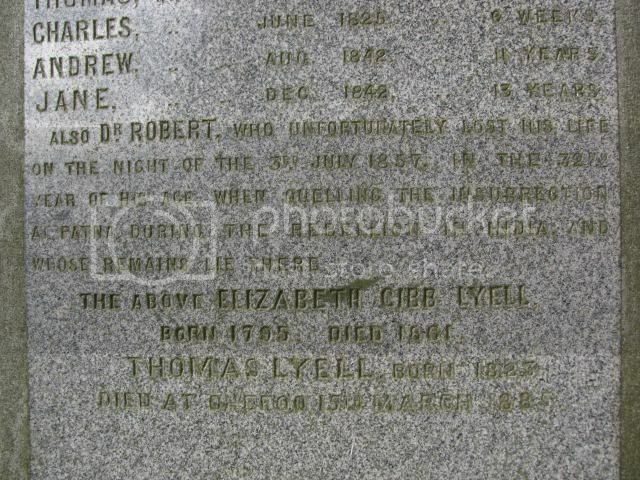 Assistant-Surgeon R Lyell, Principal Assistant to the Opium Agent, Patna, killed:- in the disturbance at Patna on the night of the 3rd July, Dr Lyell, while riding in front of his men to attack the rebels, was shot to the ground."